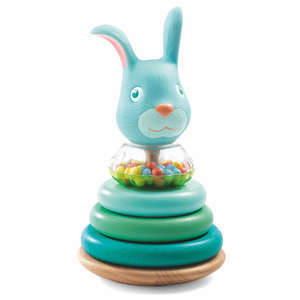 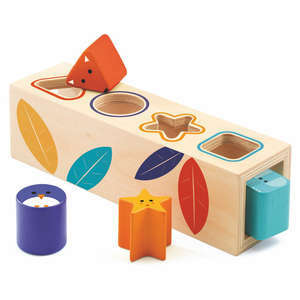 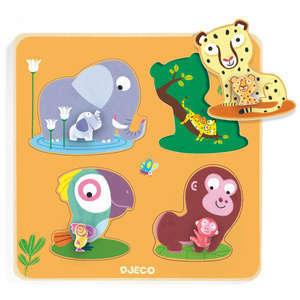 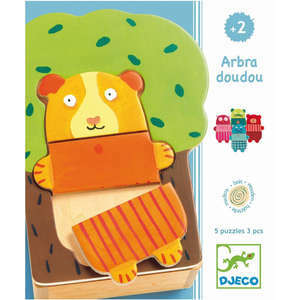 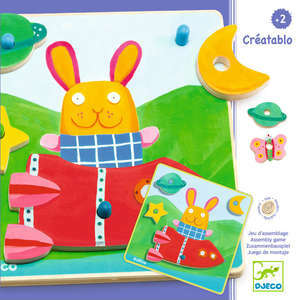 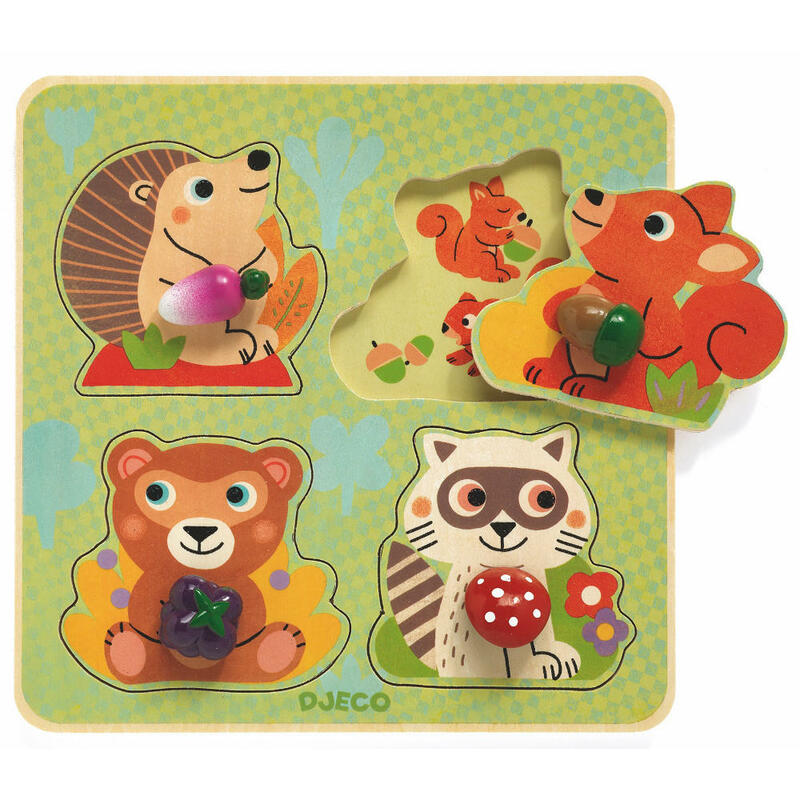 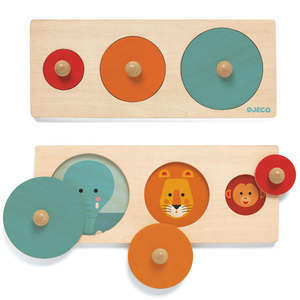 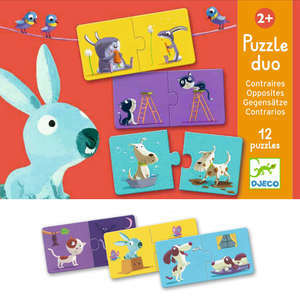 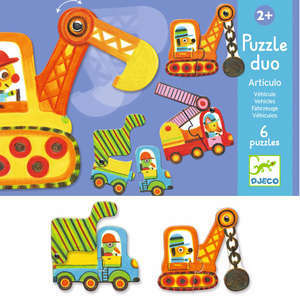 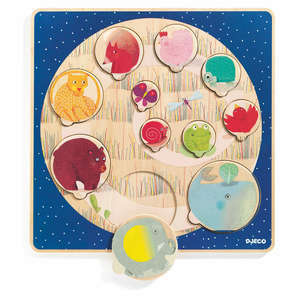 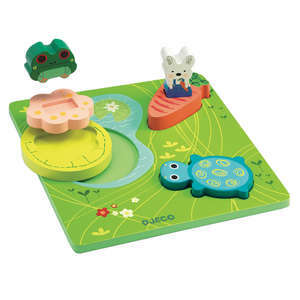 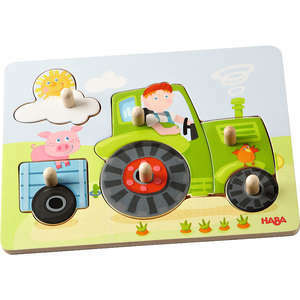 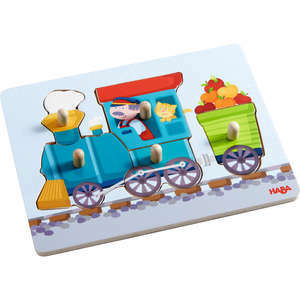 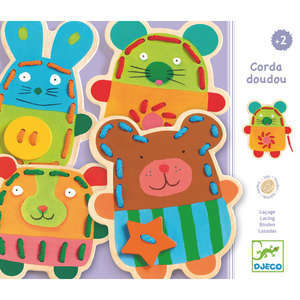 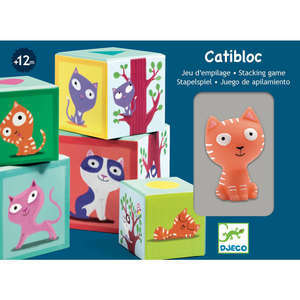 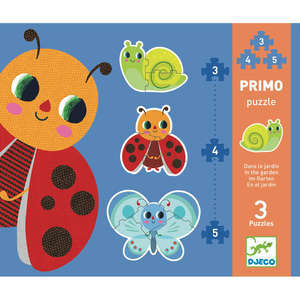 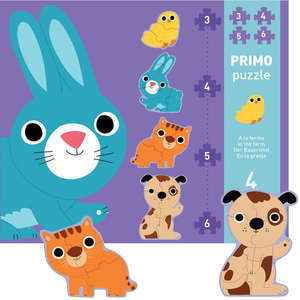 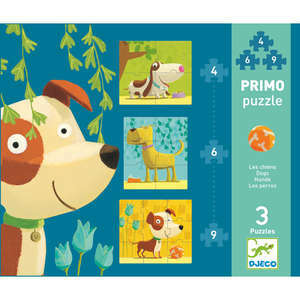 This wonderful wooden puzzle from Djeco features four woodland animals. 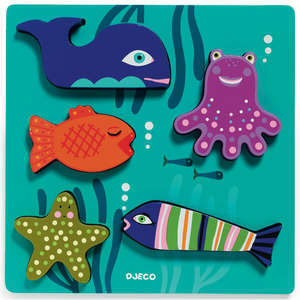 The large colourful pieces have chunky buttons to hold, making them easy for little hands to remove and replace. 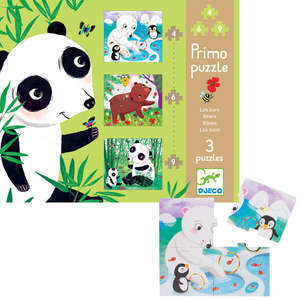 Puzzle approx 21 x 21 x 1cm. 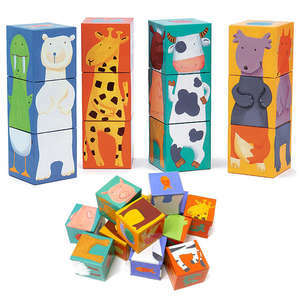 Box approx 22.6 x 22.6 x 2.5cm.